As the humidity rises and the clouds move in, the end of the Dry also spells the wind-up of the Deckchair Cinema for another year. 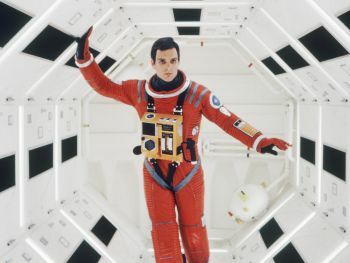 This year the beloved cinema will go out with a bang, with the sci-fi epic 2001: A Space Odyssey. The classic Stanley Kubrick science-fiction production celebrates its 50th anniversary this year, and follows a voyage to Jupiter with a sentient computer HAL after the discovery of a mysterious black monolith affecting human evolution. Deckie general manager Alice Body says it’s a film that needs to be appreciated on the big screen. “There are some films that don’t translate on the small screen, and this is such an epic classic film and internationally regarded as a culturally important film,” she says. “One of the programming committee members was looking at a YouTube video of the 10 most beautiful films ever made and we thought we haven’t really played something epic at the cinema for a while. The screening for the official closing night caps off a huge year for the cinema, which got an unexpected make-over after Cyclone Marcus tore through in March. Over the year the staff have made a strong push to reach out to the multi-cultural communities in Darwin, and screening films particular to their interest. “We recognised that our Darwin community is very diverse and that’s not always reflected in our audiences,” Body says. Body says these partnerships increased the average attendance to foreign language films by more than 100 people per screening since 2016. Funding from Screen Territory also allowed the Cinema to host special guests to accompany the screenings, including Indonesian film legend Garin Nugroho and Greek actor Alex Dimitriades. While we farewell the Deckie for another year, Flix In The Wet – also run by the Darwin Film Society – will kick into gear in January at BCC Cinemas Darwin.